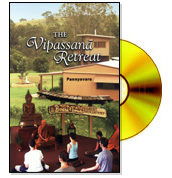 Buddhanet Publishing: Audio CDs, CD-ROMs, Video and Buddhist Australia Directory. BuddhaNet and the Buddha Dharma Education Association has published the following collection of Audio CDs, Multi Media CD-Roms, Video, and the Buddhist Australia Directory. They are now available for you to order, please click on the title you are interested in below for more information. BuddhaNet is a not-for-profit Buddhist education and information service and is supported by donations. All the titles are available either by making a donation to the address below, or you can now make a secure credit card donation online using the BuddhaNet's new online store.